How can you utilize sound and light in performance in a simple electronic synthesizer kit? 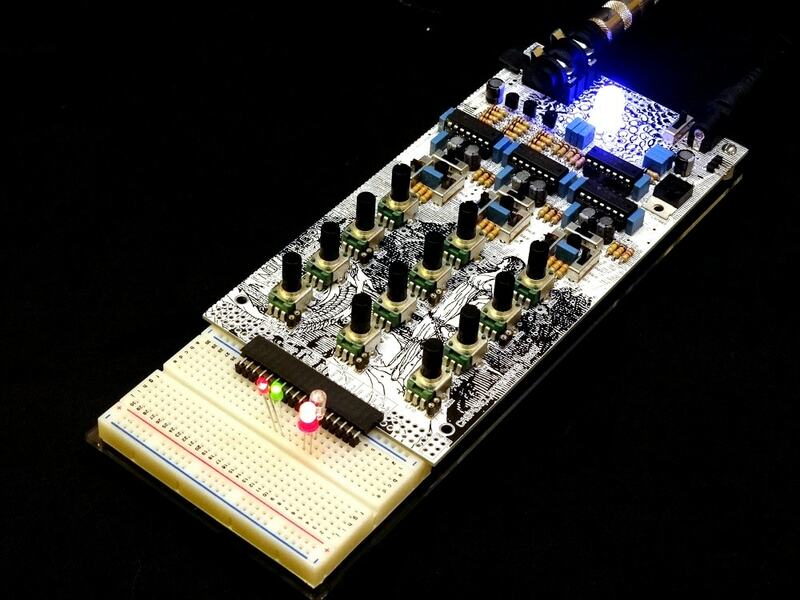 Learn how to create complex visual patterns using The Nova Drone, an open source, analog experimental sound and light synth designed by Peter Edwards and G Lucas Crane. Gain insight into music resident G Lucas Crane’s practice as you assemble the same handmade synthesizer that will be used in a July 2019 performance by Crane’s project, Decoder 2017. G Lucas Crane is a sound artist, performer, and musician whose work focuses on information anxiety, media confusion, and new performance techniques for obsolete technology. In New York City he has latley haunted/performed at The Stone, Museum of Art and Design, Pioneer Works, Roulette, Issue Project Room and the Brooklyn Museum. He was a 2011 LMCC Swing Space Resident Artist and received the NYSCA Individual Artist Commission for sound design for the theater piece This Was The End, for which he received a Henry Hewes Award and a Bessie nomination. He has lent his unique sonic approach to music ensembles Woods, Wooden Wand and the Vanishing Voice, Ogg Myst, Fox Crane Bear, and his solo project Nonhorse. He is a co-founder of the Silent Barn, an experimental art and performance space in Bushwick, Brooklyn.